Pichai Naripthaphan, a former energy minister and a member of the Pheu Thai Party’s economic team, has been summoned to report to the Technology Crime Suppression Division (TCSD) police tomorrow. Mr Pichai said that he received a TCSD summons on Wednesday morning. The TCSD issued the summons on July 26 after receiving a complaint from Col Burin Thongprapai, a legal officer of the National Council for Peace and Order (NCPO), accusing him of posting a false statement on the computer in a way that may cause damage to national security and economy or panic among the people. He said so far he has received 11 summonses. Eight were NCPO summonses for him to undergo an “attitude adjustment” session and the three others were from police on various charges. Following the 7th summons, he was detained for seven days, Mr Pichai said. The former energy minister said it was still unclear what actually motivated the last summons. He said he did not understand why, with an election drawing near, the government is still resorting to using the Computer Act as a tool against people opposed to it. If the Pheu Thai Party won the election and formed a government, it would amend the Computer Act to prevent it from being used as a polical tool to restrict the people’s honest rights and freedom of expression, he said. Mr Pichai said the latest summons might stem from the fact that he went to join a birthday party for former prime minister Thaksin Shinawatra in London and his images were shown on the social media. 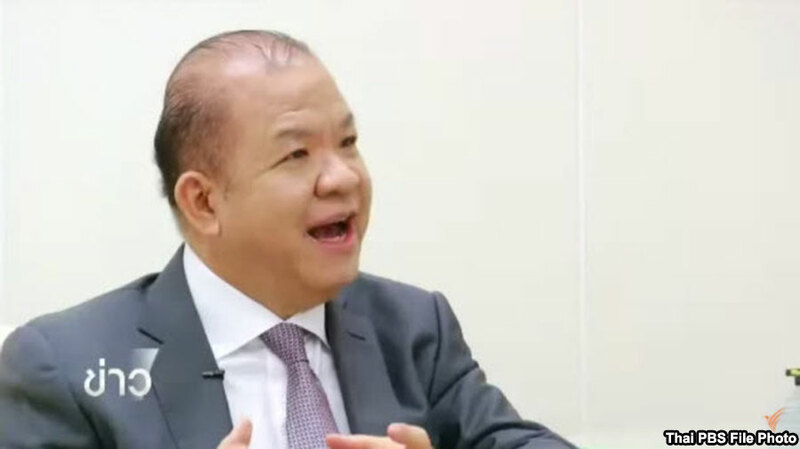 He claimed that he brought home from London what he described as a new economic policy which hopefully would help Pheu Thai win the people’s hearts in the election.